Prominent & Leading Manufacturer from Mehsana, we offer curb cutting machine. 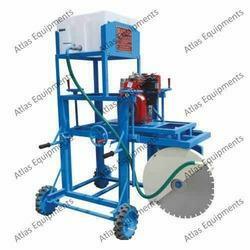 We are backed by a team of adept professionals in manufacturing, exporting and supplying a qualitative collection of Curb Cutting Machine. Our offered cutting machine is designed with top grade RCC blades & other allied material under the direction of professionals. This cutting machine is design to perform in tough Indian conditions. Offered cutting machine is available in numerous customized options at affordable price to our renowned clients. Looking for Curb Cutting Machine ?